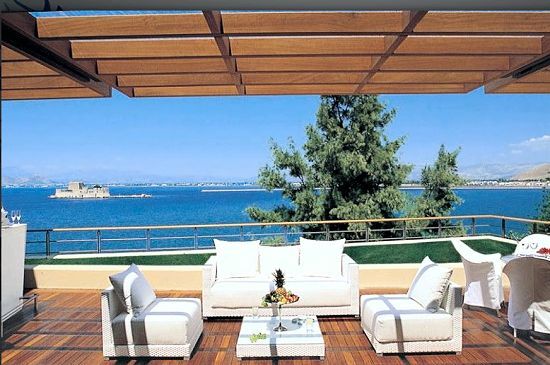 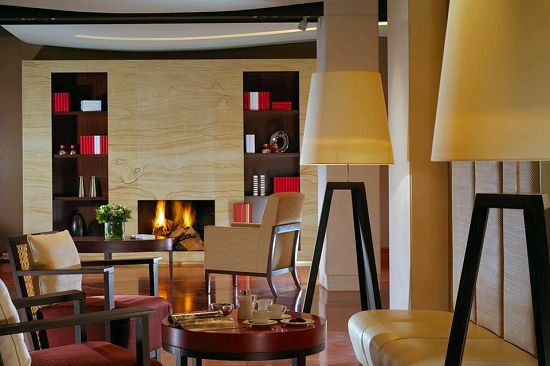 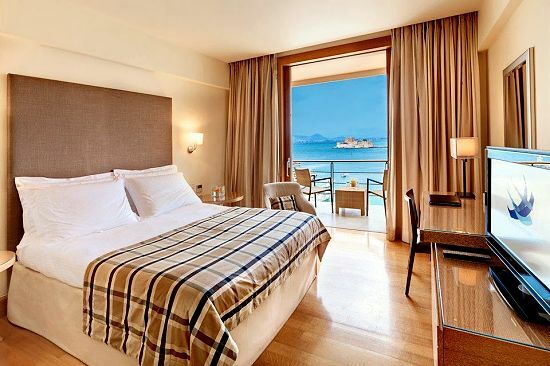 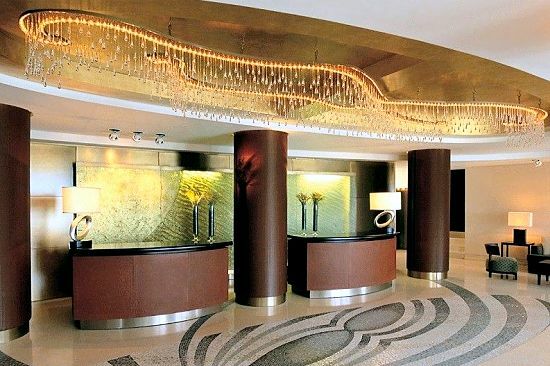 Amphitryon, a luxury boutique-style hotel, began operating in March 2002 with 42 fully renovated rooms and 3 suites. 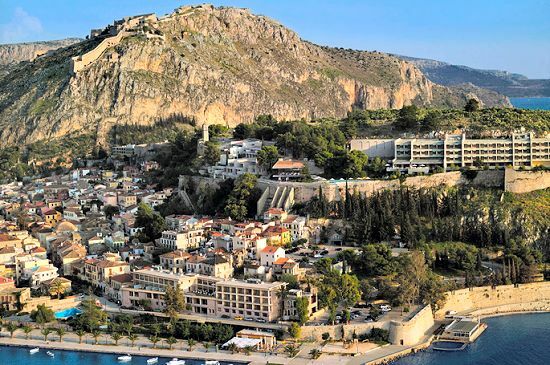 Located on the waterfront, it offers panoramic view to the romantic yacht harbour of the city of Nafplion and Bourtzi, its fortress-island. 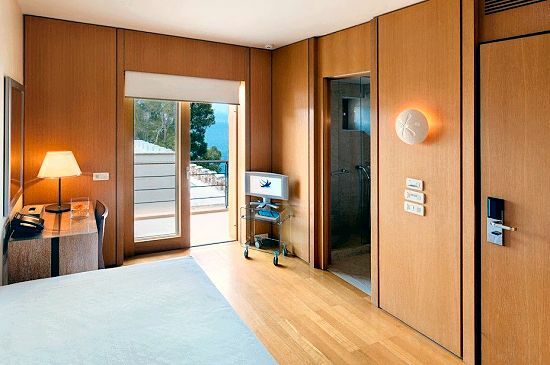 All rooms offer sea view and have sound proof windows and air-conditioning/heating; they all feature satellite TV, direct dial phone, Wi-Fi, control panel to adjust all electronic devices, mini bar, safe deposit box, hairdryer, bathrobe, slippers and toiletries. 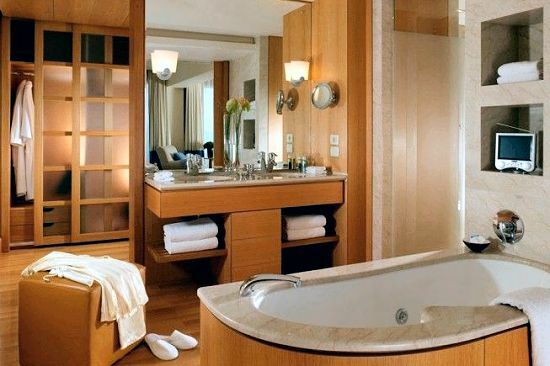 Most Deluxe Rooms have balcony and consist of one bedroom with writing desk and a marble lined bathroom with either shower cabin featuring hydro-jets or bathtub. 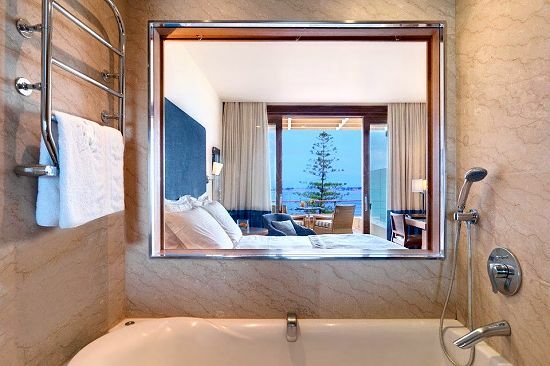 The Superior Luxury rooms have a private balcony and consist of one bedroom, sitting area with writing desk and a marble lined bathroom that features a magnifying mirror, telephone and an aero-spa bathtub offering sea view through the glass wall. 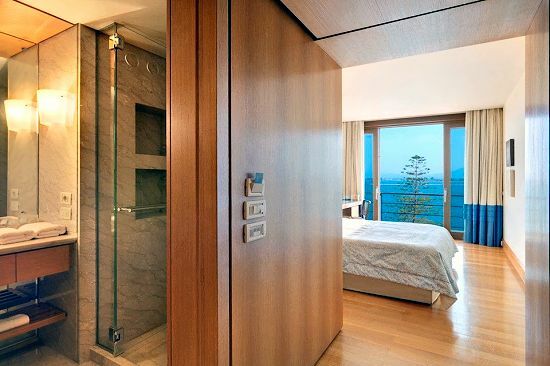 The units on the ground floor can accommodate up to 4 persons and feature an aero-spa bathtub with separate WC and separate shower cabin. 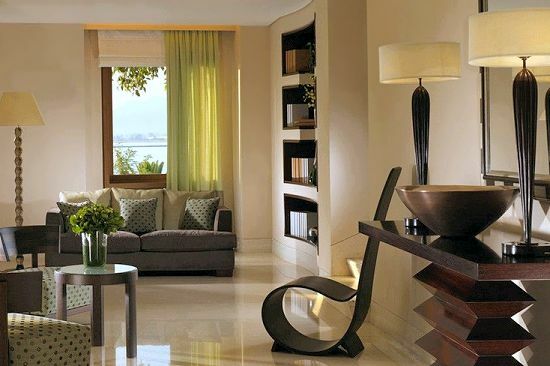 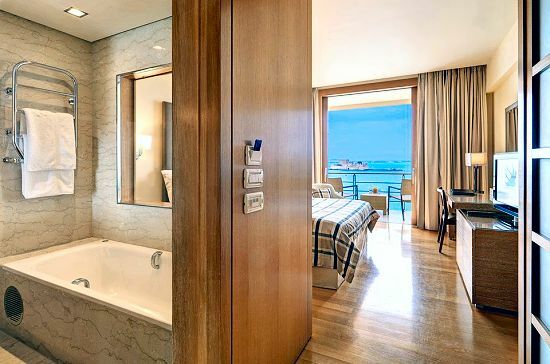 The Executive Rooms have a private deck terrace; they consist of one bedroom, sitting area with writing desk and a marble lined bathroom featuring a magnifying mirror, telephone and aero-spa bathtub that offers sea view through the glass wall. 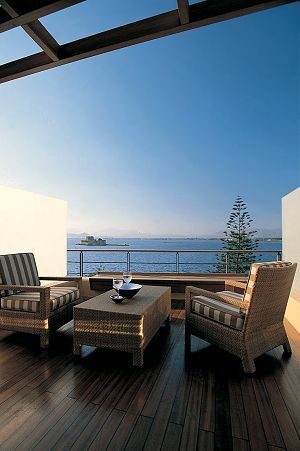 The Luxury Suites have a spacious, fully furnished private deck terrace; they consist of one bedroom, some with walk‐in closet, one living room in an open plan style with lounge facilities, a marble lined bathroom with Jacuzzi bathtub, separate shower cabin with steam bath, in‐bath TV, magnifying mirror. 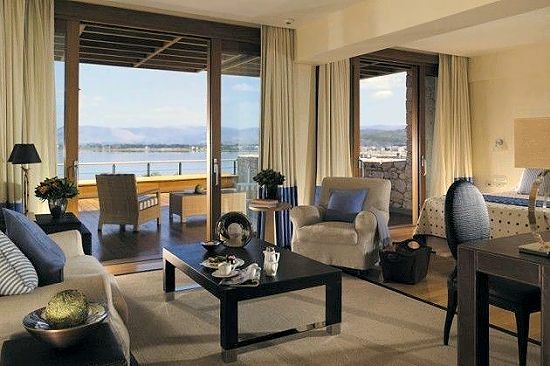 The family rooms have two private balconies and consist of one superior luxury room with sitting area & writing desk, a marble‐lined bathroom with aero-spa bathtub and a second room with bathroom featuring shower cabin with hydro-jets; both bathrooms include telephone and magnifying mirror. 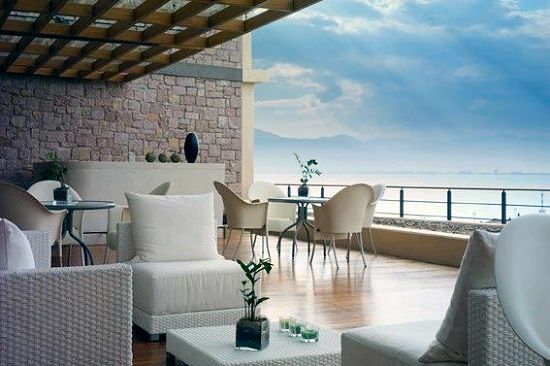 Public areas of the Ampitryon hotel include a cosy piano lounge bar, the restaurant “Circle” and an outdoor deck restaurant and bar. 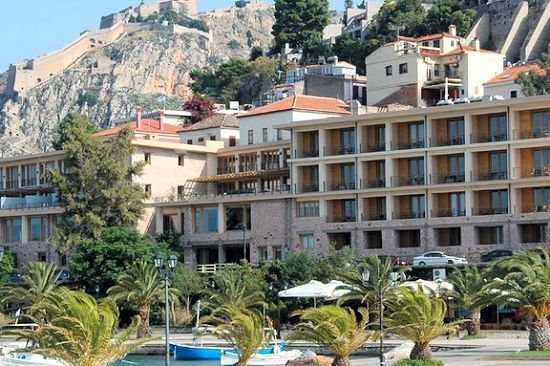 Additionally, guests can enjoy all the facilities at its sister hotel, the Nafplia Palace. 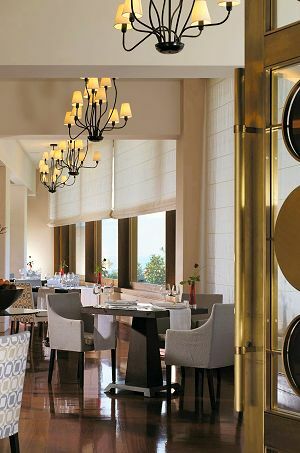 There is also a function room for up to 50-70 guests and business facilities include a fully equipped business center, secretarial services, internet access, overhead projectors & audiovisual equipment.